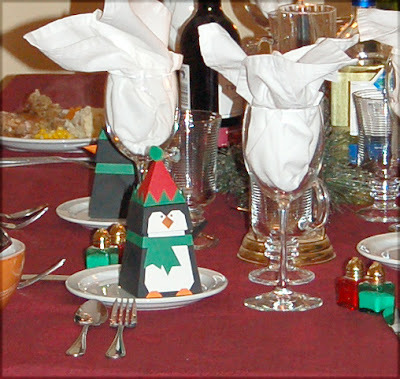 As illustrated here, the Elf Penguins make the ideal dinner guests. They add charm to the holiday table and sit perfectly still. And, they're light eaters so you don't have to cook much food! Thanks Elizabeth for sharing this with me. 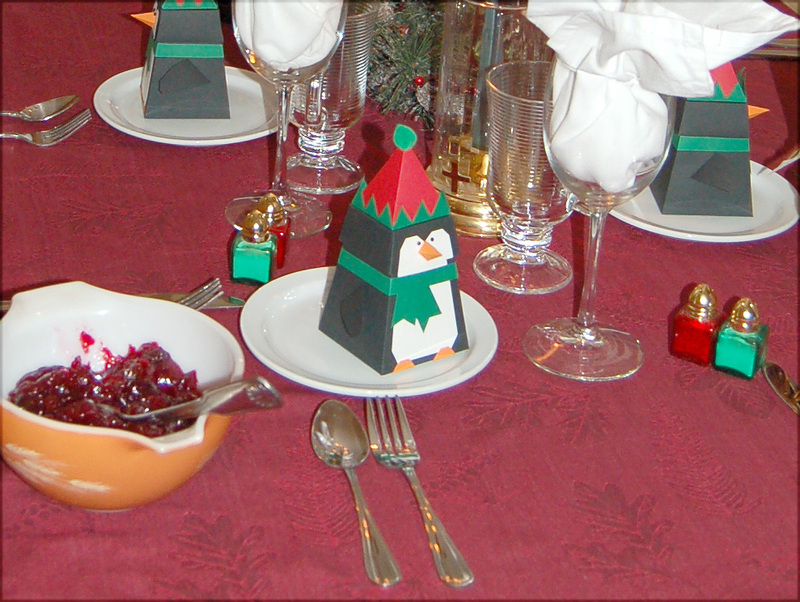 Love the pyrex bowl filled with cranberries I believe!